Is there a better alternative to Koala Call Sheets? 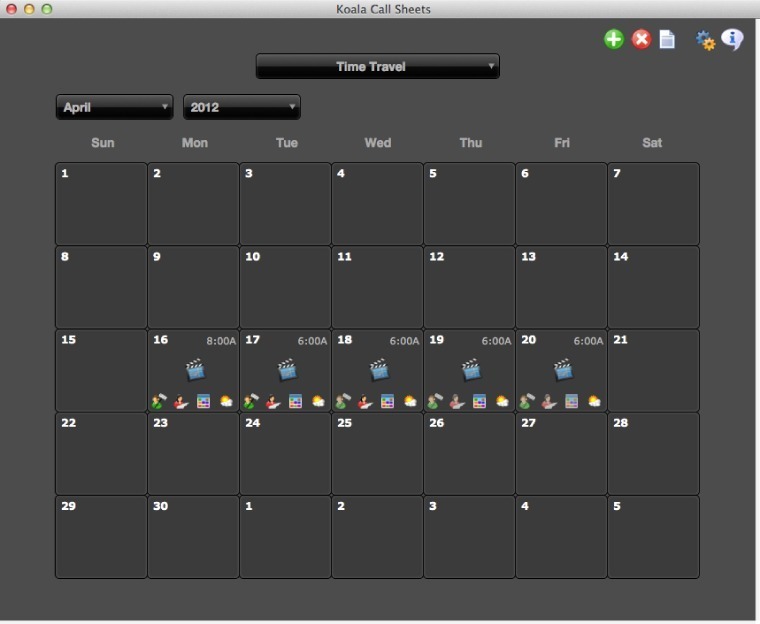 Is Koala Call Sheets really the best app in Video category? Will Koala Call Sheets work good on macOS 10.13.4? 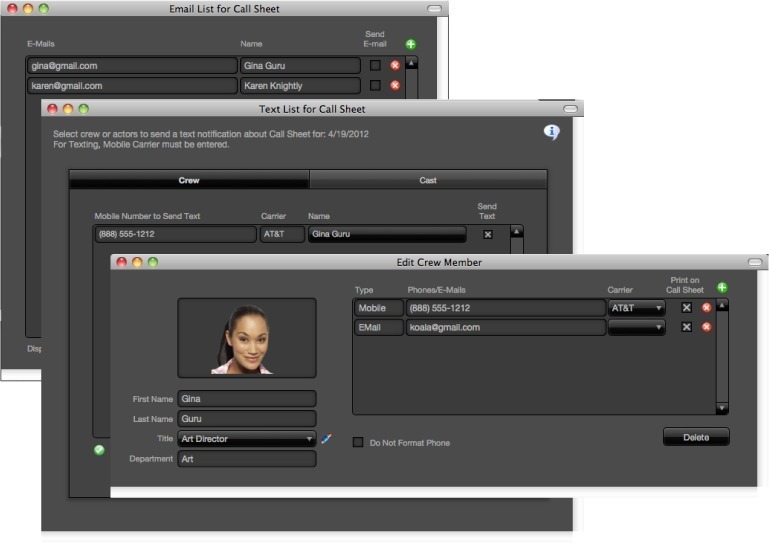 Koala Call Sheets lets you create, print, e-mail, and text professional call sheets for film, television, and video productions. 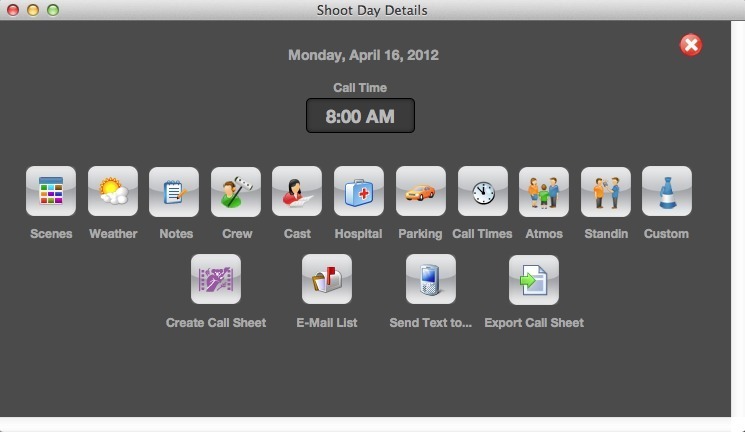 Choose from a variety of templates and customize the look and feel of your call sheets. Powerful and intuitive, Koala can be used for complex, professional studio films or for simple, student productions and everything in between. Koala can be run as a standalone product or integrated with Gorilla or Chimpanzee. Includes scenes to be shot, contact info for cast and crew, special notes and instructions, parking info, location requirements, call times, meal times, and more. Note: 14.0.6 is the version number reported in Finder; it is a reflection of the app's FileMaker runtime version. The developer refers to this version of the app as 2.0.2. Koala Call Sheets needs a review. Be the first to review this app and get the discussion started! Koala Call Sheets needs a rating. Be the first to rate this app and get the discussion started!